The Blimp is back in town! Back in June 2014, our area was hit by a horrible storm, which not only flattened thousands of trees and did a lot of other damage, but also destroyed our local WDL Blimp. It was moored at its mast at the airport and could not be moved into its hangar because the storm hit so quickly. 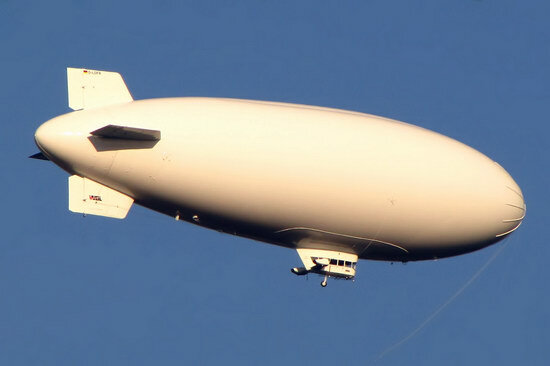 But the company who owns it and has been operating airships from our local airport since over 40 years and they built a brand-new ‘Zeppelin’ over the course of the last year. The inaugural flight was already a few days ago, but today we were able to see it fly from our home for the first time. This new airship is called Theo in honour of the late company founder Theodor Wüllenkämper, who started his business in the 1950s by flying advertising banners with small biplanes.